Time again for more new rubbah!!! 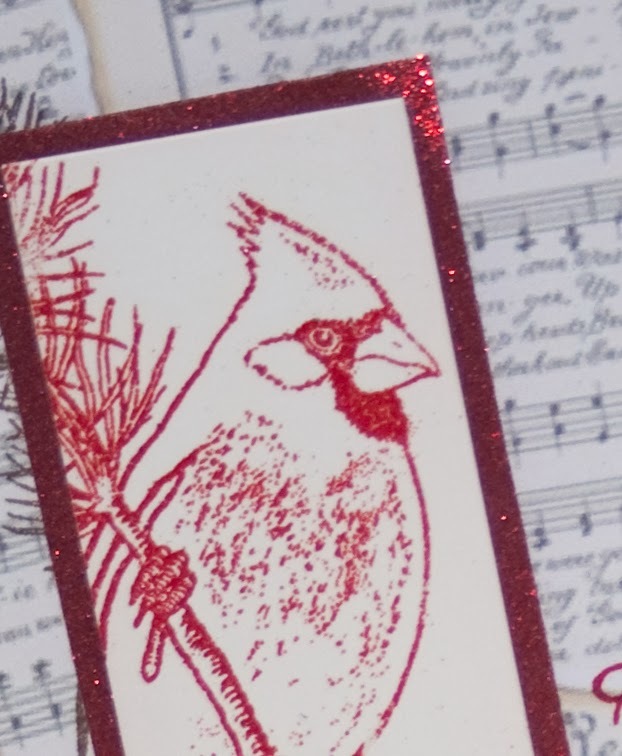 This month I have a beautiful Winter Cardinal stamp set from Rosiland Solomon to share with you! 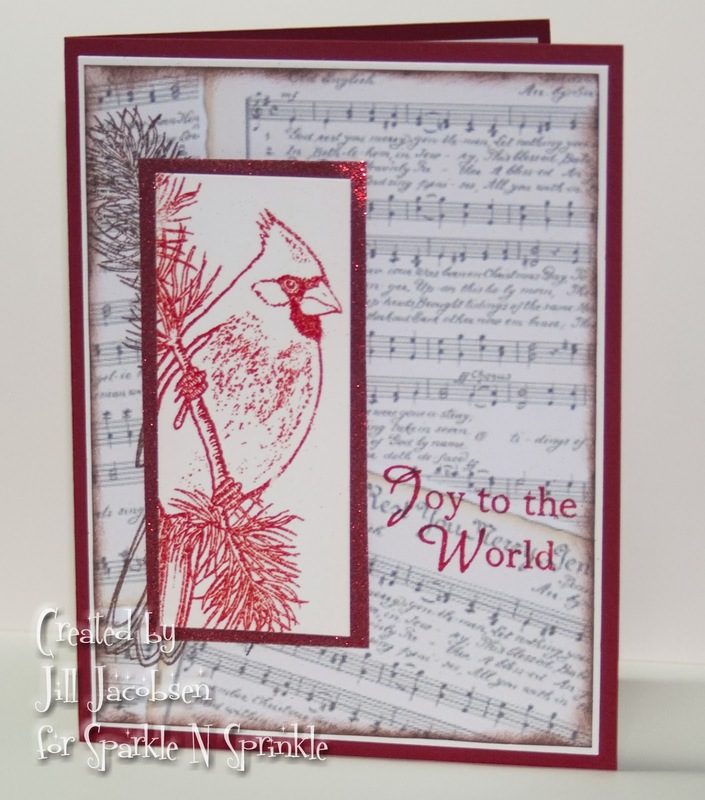 I love cardinals and their beautiful song they sing, and at Christmas time you can't beat their beauty! So this month's Technique Video Kit I am featuring this wonderful stamp set in a vintage music setting! You will learn a Spotlighting Technique and a Glittered Frame technique using SNS Sticker Paper. 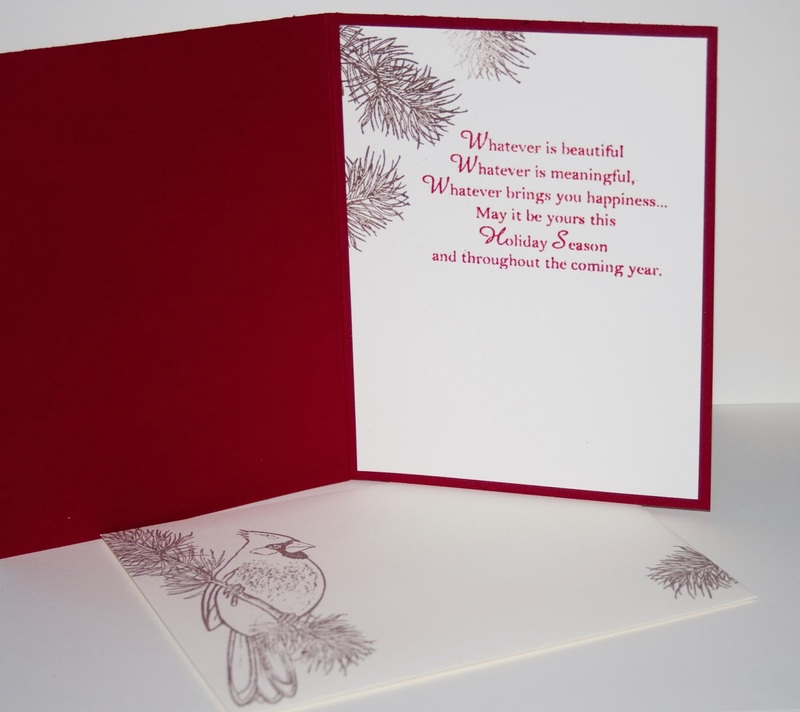 There is basic embossing with the cardinal and sentiments. On the inside of the card you will use just a portion of the stamp to create a nice corner piece. Here is the video for you to watch how the card was created. You can purchase the Technique Video Kit here. There is also the Cut File available for this image and if you are a Club Member you receive it free for the asking! Make sure you check out the SNS Blog for all the other new stamp sets being revealed along with your chance to win the new stamps!